MeoStar® B1 32mm Series.Small in size with the biggest view in its class. The MeoStar® 32mm series delivers a view rivaling the very finest full-sized binoculars yet are one of the most compact and lightweight 32’s available. Optimized Schmidt-Pechan prism system and eyepieces provide an incredibly wide and flat field of view. MB5501TM ion assisted lens multi-coatings deliver maximum brightness and resolution with crystal clear edge-to-edge performance. All this optical perfection is wrapped in an aluminum chassis and protective rubber armored package weighing only 21 ounces. Sculpted thumb pockets and excellent ergonomics make extended glassing effortless. 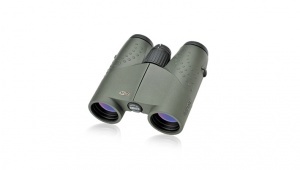 Whether hiking the great outdoors, hunting, nature watching or taking in a sporting event, you’ll find yourself reaching for these lightweight and impressive 32mm binoculars every time you head out the door. 8x32 - Extremely wide field of view of 416 ft. Compact size and light overall weight. Excellent choice for nature watching, hiking, travel and sporting events. Purchase through PayPal by using the "Add To Cart" button above or use the form below to order the Meopta Meostar 8x32 . Feel free to contact us if you have any questions about the Meopta Meostar 8x32 .